So, with all this diverse racing experience what is John’s favorite? The answer is “Nostalgia Pro Stock!!! I grew up watching Bill “Grumpy” Jenkins beating up on the Fords and Chryslers and I said to myself, “someday I am going to build one of those cars”. Well someday started to become a reality in 2012 when John discovered a 1973 Vega hidden away in a barn located in Indiana. 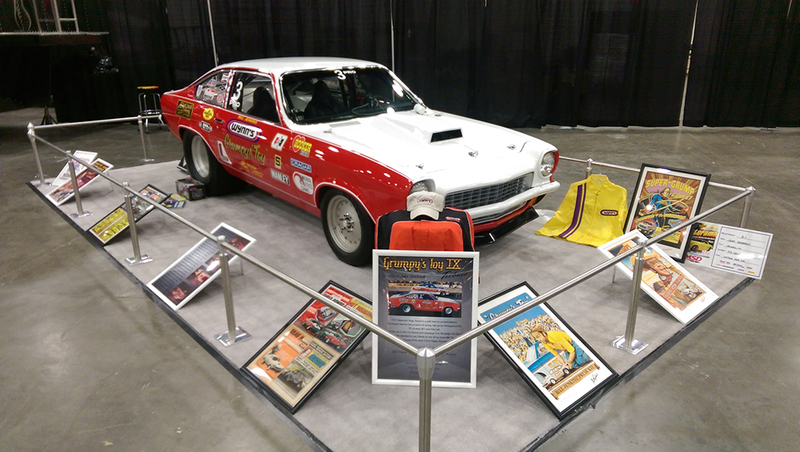 This car was originally purchased new for the sole purpose of drag racing. Even though the car was pretty much whole, it needed a bit of updating along with a complete make over. It was at this point that John put a call into Mark Pappas to inquire about the Midwest Nostalgia Pro Stocks. 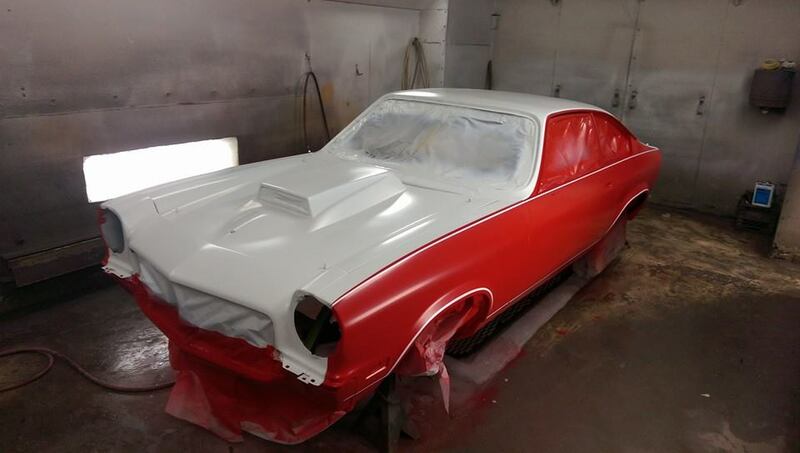 When John told him that he wanted to recreate Bill’s “Grumpy’s Toy IX” Mark knew immediately that the car he wanted to replicate was one of only two cars that Bill Jenkins had ever painted red. The other red car Bill Jenkins owned was an early Chevy II which was totaled out in a towing accident. 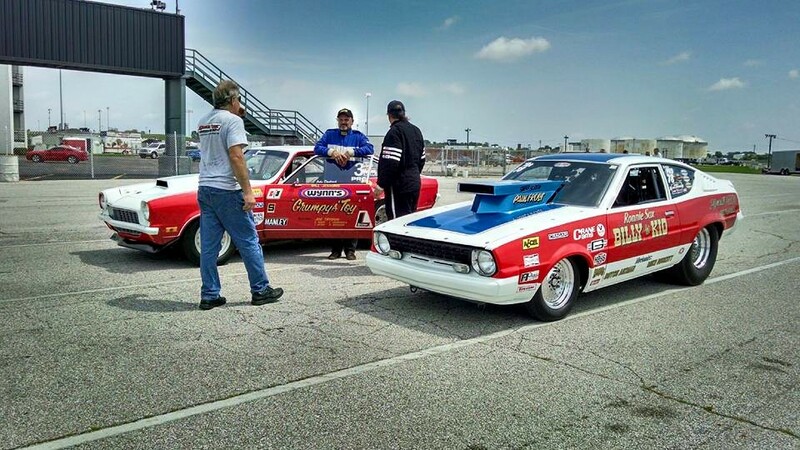 When the Vega was wrecked during a race in the Midwest, Bill decided that maybe red was a bad omen and went back to his familiar overall white with red stripes paint scheme. Mark was excited about the makeover and offered his assistance and help. John wasted no time in removing all of the body panels and stripping the car down to bare bones. Having worked in a body shop, John decided to do all the metal repair and fiberglass work himself. Mark was a wealth of knowledge during the rebuild and his help with making this car period correct was invaluable. Mark even gave John some original parts from Bill Jenkin’s shop. John prepped the car and had it ready for paint and then it journeyed over to Bill Merrill at Midtown Collision for final paint. 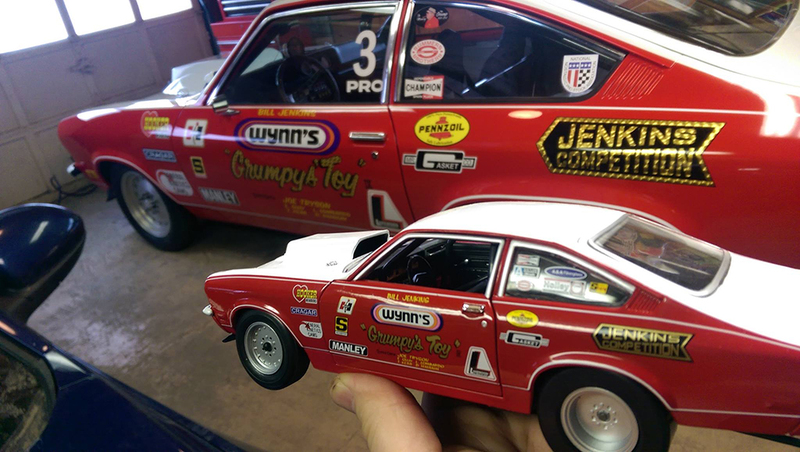 After the car was completed in 2015, John took his first road trip to Indy where he finally met Mark, Jungle George, and all the rest of the Midwest Nostalgia Pro Stock guys. John clicked immediately with these guys and he knew this is where he wanted to race this beautiful car. John’s official first race was in Bowling Green, Kentucky where he was pared with “Jungle” George Kubis and his way cool “Billy theKid” Plymouth Arrow. Even through George got the better of him, John had a blast! It was a great weekend full of solid racing fun and enjoyable experiences. John couldn’t even begin to describe how thrilling it was to race in front of a capacity crowd like experienced in Bowling Green, KY last year. All the fans were super nice and he was able to meet many a new friend. The response to this Vega was been overwhelming and has made all of John’s efforts worthwhile. 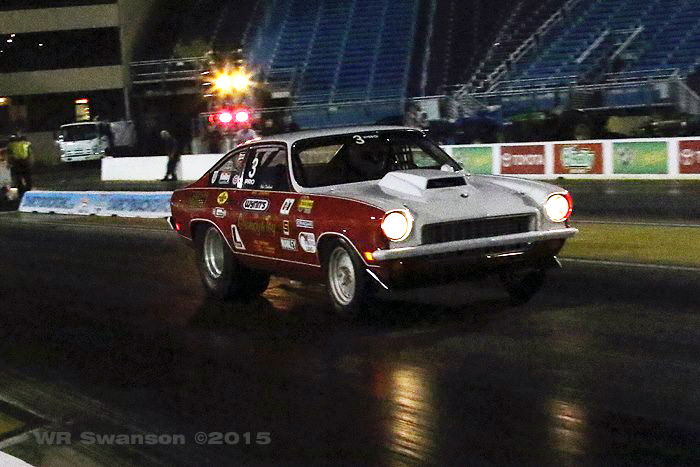 Since its’ debut, this Vega has been to over a dozen of the Nostalgia Pro Stock Events and several car shows. “I am living the dream” according to John and looks forward to participating in the full 2016 schedule with the Midwest Nostalgia Pro Stocks “Paying Tribute to the Legends” again this year. So, if you see him out there at a track near you, stop by say Hi and share a story or two or three with him!